I was recently reading an article that stated it takes 21 days of commitment to make (or break) a habit. Depending on how you look at it, that can seem a very achievable timeframe or an eternity. The way each one of us approaches change is different. We all look for a ‘change’ for better, but a lot of times when time comes we get really scared, start questioning ourselves and find excuses to procrastinate. Deep inside we know we are completely capable of going through with it, but “what if we aren’t?! What if we fail?! So, maybe is just better to wait and see….”. Haven’t we all been there? Chose the comfort of a ‘not so good’ current situation versus putting a true effort to make the change and defy the fear of the unknown outcome. It’s easier to complain (that apparently makes a lot of conversation nowadays! ), and tell people how you are planning on making it better, eventually… mostly to excuse yourself or maybe attempting to find support from others (?!). Well, let me tell you something: nobody is going to do it for you. You want change, GO FOR IT. You are the only one in charge of your happiness. As corny as this might sound, and as many times you might have heard this before, this is your OWN journey. Time goes by whether you get the best out of it or push through it. 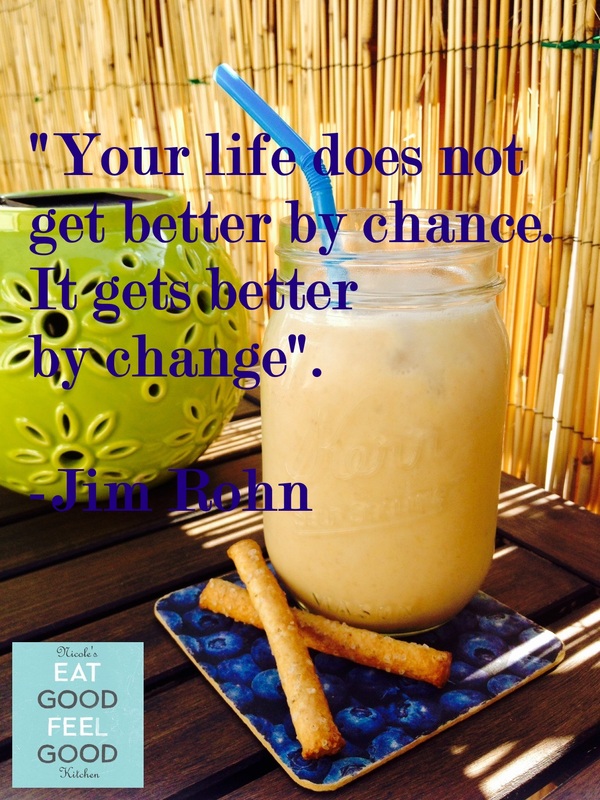 So why not taking a chance and see how you can improve your life? What do you have to lose? We are prone to think in order to be happy major changes would have to take place in our lives. That is the biggest misconception of all. The biggest changes happen when you start taking the first step toward the right direction. And the first step is making the change in within you: allowing yourself to accept the fact no matter how happy/sad, rich/poor, overweight/underweight, healthy/sick, ready or not you feel, you can make that change. You don’t have to have everything figured out to move forward, as you will understand and find out where you want to go while being on your own journey. You will mold the path while walking this journey of change: it is so empowering! Everything, EVERYTHING starts from within you. The ‘change’ I’m talking about can apply to anything in your life, as we are all striving for different things and have different goals. But there is a strong common denominator, which is: nothing can be accomplished if you are not happy. Happy about yourself, who you are, the way you relate to yourself and others, the way you feel, your self-image. That kind of happiness can be achieved by making the choice of starting taking care of your health today. Yes, because everything is connected. When your body doesn’t work right, your mood and attitude are affected. When you feed it too much sugar, trans fat, preservatives and chemicals you promote an addictive cycle: you create a true psychological and physical addiction (have you heard sugar has been compared to cocaine for this matter?). That is clearly not healthy, and the root of a big part of your bad moods, energy slumps, and inhibited mental and physical performance. That is why I could never stress enough the importance of Nutrition in our lives. Nutrition is not low-fat, it’s not low-calorie, it’s not being hungry and feeling deprived. It’s nourishing your body with real, whole foods so that you are constantly satisfied and energized, to live your life to the fullest. Every time you eat is an opportunity to nourish your body, and your mind. You’ll never change your life until you change something you do daily. The secret of your happiness and success is truly found in your daily routine. My advice is that you take a step back and instead of trying to fix everything around you, start implementing small changes into your life. Make yourself and your wellbeing a priority. Investing in yourself is the best decision you could ever make. Call me crazy, but I love see people happy and succeeding. Life is journey not a competition. I hope you enjoyed this reading. If you did, please share it with your friends, as it might make the difference in someone’s life. That is my personal goal and what Nicole’s Eat Good Feel Good Kitchen is about: motivate and inspire people to become the best version of them-selves. Posted on November 3, 2015 November 11, 2015 by nicoleEGFGPosted in HomeTagged Be Happy, Be the Change, Change, Eat Good Feel Good, EGFG, Food Coach, Happiness, Healthy Living, Healthy Option, Inspiration, Love Yourself, Make the Change, Motivation, Personal Chef. There are only two things that matter in life. Luckily they are the only two things we can control. That is our actions and our reactions. I agree with you. Small consistent incremental changes in these two things will add up to something huge over the years.